Park City has been a haven for cross-country skiers for decades, combining the benefits of aerobic exercise with the tranquility of the Rocky Mountains. Park City offers a wide variety of options from groomed trails, complete with classic tracks, or more rustic touring trails in the nearby mountains. Whether you choose to glide along the classic ski tracks or go for the faster skate skiing technique, you’ll work up a sweat. You will want to dress in layers that protect you from the elements while simultaneously allowing for ventilation. Opt for merino wool or synthetic materials that will wick the moisture from your skin and help regulate your temperature. It is best to have an extra layer ready for long breaks or at the end of skiing. The light reflection from the snow can be intense so be sure to wear sunglasses and sunscreen. JACKETS: Start with a synthetic (or light wool) base layer to wick moisture away from your skin. Soft shell jackets are an excellent option because they are extremely breathable while offering partial wind resistance. On windy days, or at the end of skiing, add a hard shell water/wind proof jacket for extra warmth. WIND RESISTANT PANTS: Snow pants are too bulky to wear while cross-country skiing. There are pants specifically designed for cross-country skiing, which are light-weight with wind-resistant material. If you are an avid biker and have headwind pants laying around they are and excellent option with wind resistant fronts and breathable material in the back. HAT & GLOVES: Even though you’ll be working up a sweat, a light hat or headband will protect your ears and forehead. Utilizing a layering philosophy to your hand with liners and light gloves or shell allows you the flexibility to regulate the temperature of your hands. SOCKS: Choose a pair of mid-weight wool socks, since cross-country boots are snug and heavy weight socks can cramp your feet. Companies like Smartwool make soft, breathable wool socks in a variety of weights. There are over 70 kilometers of groomed trails in Park City and the surrounding mountains. Basin Recreation grooms 25 kilometers of free multipurpose trails connecting the Utah Olympic Park area with Willow Creek Park. Round Valley, , located in Quinn&apos;s Junction, is a 25 kilometer trail network offering rolling hills and steep ascents. These free trails are multi-use and dog-friendly. 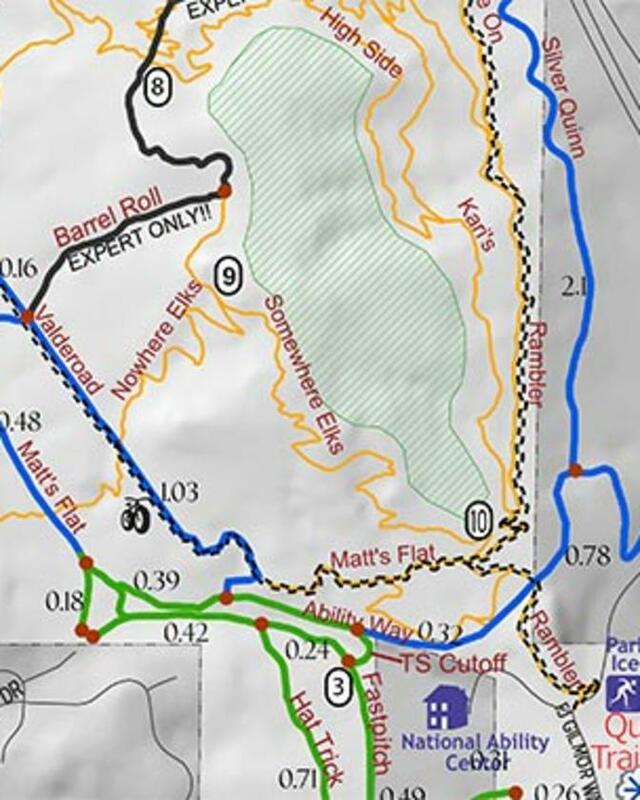 White Pine Nordic Center offers 25 kilometers of fee-based groomed trails. If you want to explore the nearby Uinta Mountains contact one of the guide shops located below to schedule a guided ski tour. 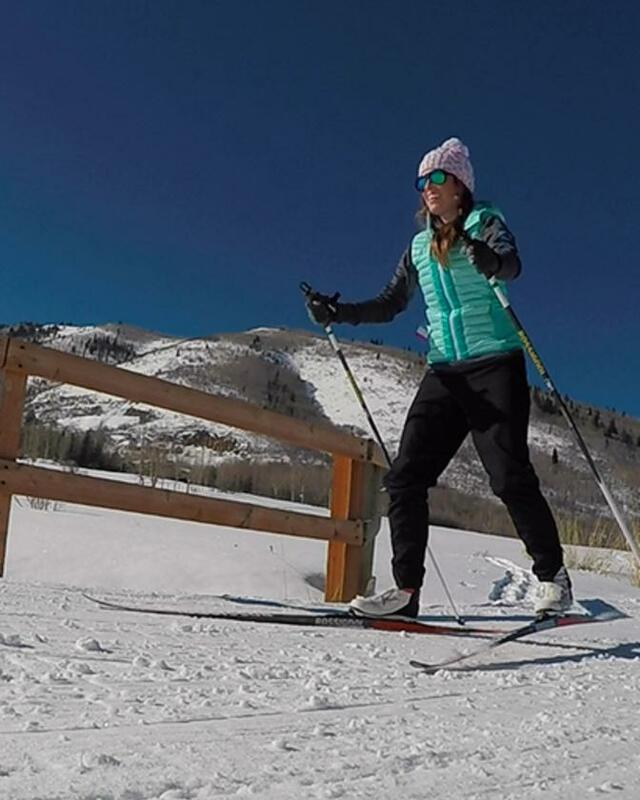 In our second episode of Park City First Timers , Makena breaks out the cross-country gear and gives skate skiing a whirl.